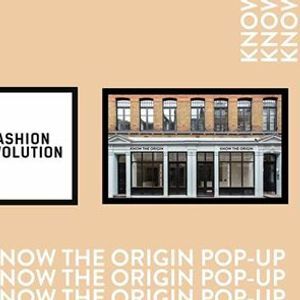 This Fashion Revolution we are opening our biggest pop up yet in Central London. The two-floor store will bring together 70+ incredible sustainable brands, including ethical fashion and our new 2019 Conscious Living range. We have a whole floor dedicated to creating conversations around sustainability, with 60+ confirmed speakers. Details released later this week. 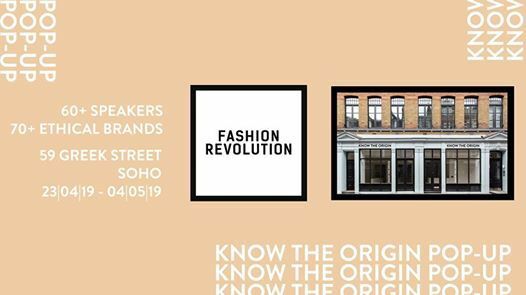 This panel will mark the sixth anniversary of the Rana Plaza collapse by focussing on the hopeful future of ethical and sustainable garment production and discussing the practical changes necessary to make fair fashion an expected norm. Our Introduction To Plant Based Living workshop will be lead by a panel of people who have all embraced veganism in order to benefit their health and the world around them. Come and hear their stories, gain top tips and share advice, experience and recipes. As another wave of feminist activism and fighting for equality rolls across the western world, our Feminism In Fashion panel address the question of what equality for women could and should look like in the garment making industry and the fashion world. 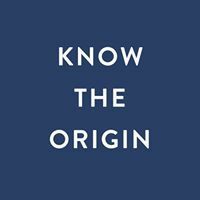 Charlotte Instone | founder of Know The Origin. Our Nature Of Fashion panel will give you the opportunity to hear from people and businesses whose newly creative and innovative efforts around the globe are intent on working WITH nature, not against it. Join us to hear what’s being done to bridge the gap between problem and solution and ensure that we can continue to draw upon the incredible beauty and awe of the world around us without destroying it in the process. how to build transparency into your business. This panel is a great opportunity for businesses and entrepreneurs to hear from companies who are currently using innovative methods to source sustainable materials and working methods for their products. Come to listen, learn, ask questions and be inspired. This event is an amazing opportunity to get up to date with the progress being made to use innovative technologies to sustainably advance the world of fashion. From new fabrics and new technologies to future techniques, our panelists will enable you to understand and imagine how tech can be used for good. Ever wondered how to move a small ethical business forward and grow it into something bigger without losing the heart and ethics behind it? Is it even possible to do this? Our experienced panel will share their stories and the successes and challenges they’ve faced as well as giving advice and tips. Film Screening hosted by The Nu Wardrobe. Showing the latest documentary on Circular Economy - Closing the Loop. Panel TBC. An interactive panel event hosted by Eleanor O’Leary to help you understand how to better your business through great business communication with special focus on relevant ways to connect to customers who don’t necessarily care about your ethos as much you do. Experience, advice and tips on how to bring people on the journey with you and really make your business, products and heart stand out.